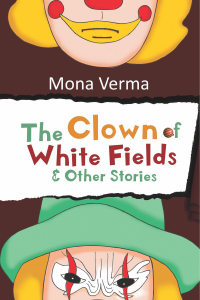 The Clown of White Fields is a collection of 7 stories set in various parts of the world, and a common thread of mysticism unites them. They are stories about children and people from small places who have a secret each. The enchanted world they live in, they are possessed by magic and the illusory world of dreams. Be it Anatoly's special powers or Siom's hatred for his step mother, Oddvar's shame of poverty, Azec's magical circus or Ravana's soul wanderings; they all brave the oddities as time affords them clarity and strength. The book attempts to bring back the lost era of storytelling, with illusory and mystical undertones that a child's innocence craves for. 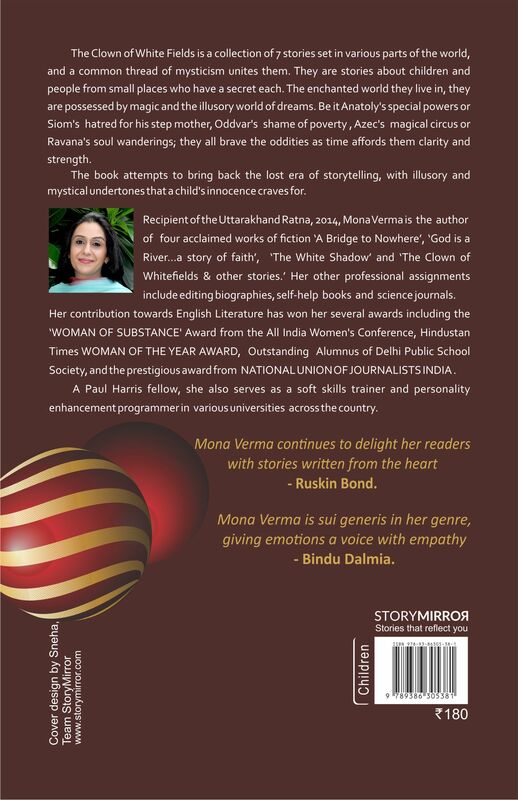 Recipient of the Uttarakhand Ratna, 2014, Mona Verma is the author of four acclaimed works of fiction ‘A Bridge to Nowhere’, ‘God is a River…a story of faith’, ‘The White Shadow’, and ‘The Clown of Whitefields & other stories.’ Her other professional assignments include editing biographies, self-help books and science journals. Her contribution towards English Literature has won her several awards including the ‘WOMAN OF SUBSTANCE' Award from the All India Women's Conference, Hindustan Times WOMAN OF THE YEAR AWARD, Outstanding Alumnus of Delhi Public School Society, and the prestigious award from NATIONAL UNION OF JOURNALISTS INDIA. A Paul Harris fellow, she also serves as a soft skills trainer and personality enhancement programmer in various universities across the country.